Last Summer during a torrential rain fall, I stood in the frame of our storm door in silence to listen to and understand the beauty of being present. Curious, my boys cautiously came and stood by my side. “What are ya looking at Mom?” my oldest inquired. He was afraid of thunderstorms, and hid behind me slightly anticipating a flash of lightning or a rumble of thunder. I wrapped my right arm around his shoulders and gently squeezed him into my side. The rain bounced off the sun-bleached wood of our deck and patio furniture. “It must really want to get back home, huh Mom,” my youngest stated. I rubbed his head with my left hand. I remembered a similar summer storm when I was sixteen. The blinks and bleeps of the Mario Kart game zipped into the kitchen and woke me from my daydream. I hadn’t notice that my boys had retreated to the living room, or better yet, they retreated to a different room to live. I looked at their reflections in the window. Their heads bowed slightly as they played on their handheld game consoles. Neither would notice if I was gone for a few moments. I opened the back door and stepped into the rain; the cool wet planks softened beneath my arches while the water poured over my toes and between the cracks. I spread my arms and raised my face to the rain to absorb its freshness and touch. I laughed and ran my fingers through my short hair as I my t-shirt and shorts stuck to my body. 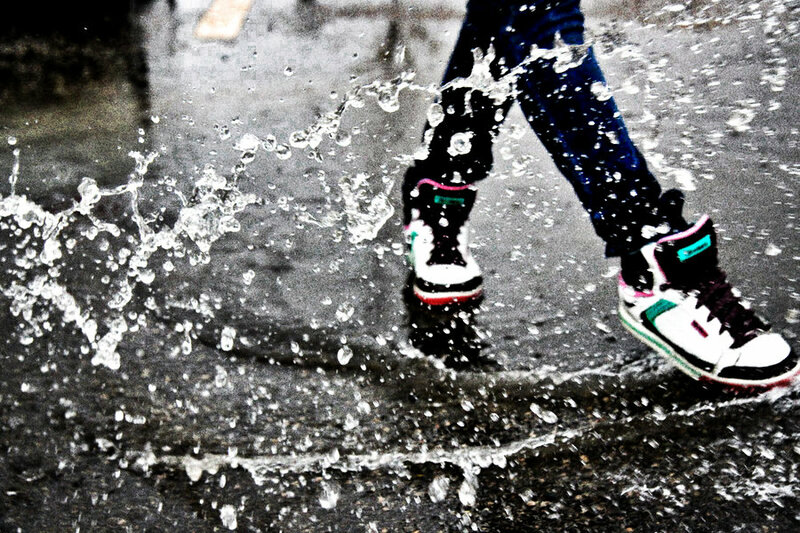 My heart exploded with energy as I joined the rain in its dance. A knock on the window summoned my consciousness back to reality. I smiled and opened the door that led back into the dryness of the kitchen. I shook the water from my hair and rubbed my feet dry on the welcome mat. I wiped the excess water from my arms and legs with my bare fingers. I touched my son’s cheek and whispered, “I needed that” as I moved towards my bed room to find some dry clothes all the while humming Gene Kelly’s rain anthem aloud. My son crinkled his nose and became very serious. I kissed his cheek then stuck out my tongue. Thanks for the comment, and kudos to you for showing your kids how important it is to just enjoy the moment. Hear, hear. We need to show our kids how to be spontaneous like this. It makes life fun. Enjoy the rain. Exactly. I often take my lead from my awesome kids as well. I wrote a post on my blog the other day called, “House of the Rising Son” (https://shamingtheshrew.wordpress.com/2015/03/19/house-of-the-rising-son/). It describes a moment I shared with my oldest boy. Check it out if you have a chance. I’m not a person to every let my guard down enough to go out in the rain. It would do me some good to become one, though. Well, then just dance around in your living room with the tunes cranked-up; or do it in the shower. Either way, if you have children, let them know it is okay to be silly sometimes. Great story. 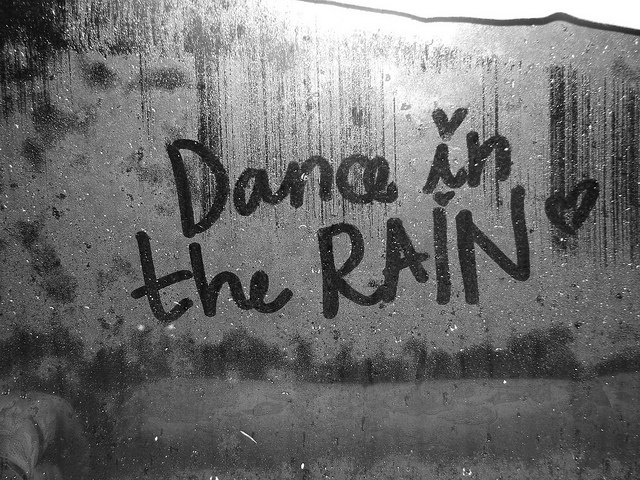 One of the great ensures in life is to walk in the rain on a nice warm day with your face up and singing. Doesn’t matter how wet you get….it’s only water. You got it! Thanks for commenting! Oh! Singing in the rain. I love when it’s raining, and it is actually raining right now in Spain while I’m writing this. However; I must say the song reminds me of a Workclock Orange film, which is not very kind really, but at least I’m feeling happy with the pouring rain outside the window. I cannot get out to dance, as I’m still recovering from the flu, but it feels good to read the post. I’m glad that I was able to help you feel a bit better at least! Thanks for commenting! Thank you so much! Truly. Having lived out West, among farmers and ranchers, rain is a joyous occasion! Loved this post! ‘Listen to the drop of rain’..my dad would often sing..